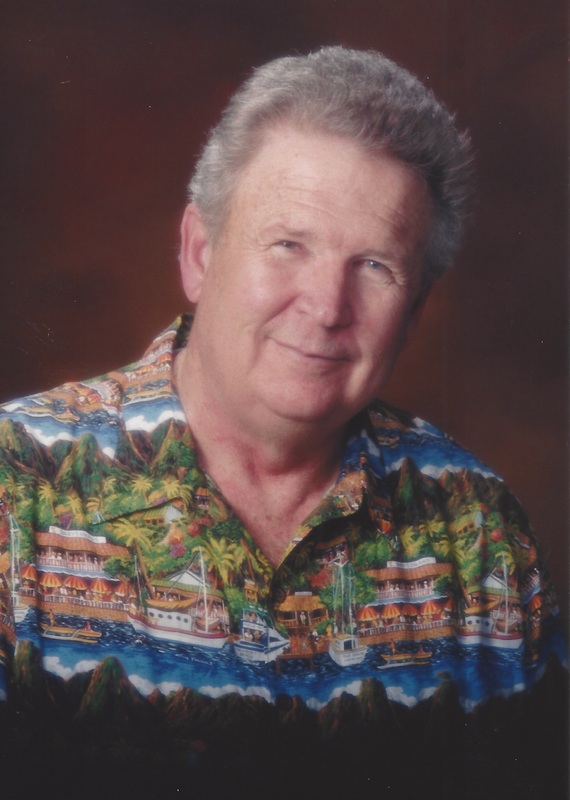 William Thomas Brooks, or “Bill” as he was known, passed away while at home with his wife by his side on Saturday, August 25, 2018. Bill was diagnosed with colon cancer for the second time last June after being cancer free for the past five years. He was 83 years old. Bill was born in Albuquerque, New Mexico, on January 27, 1935. He served in the Navy for four years, after which he met and married Sandra Brooks, the love of his life, while attending Utah State University. Three years after they were married Bill and Sandy were sealed in the Logan, Utah Temple and recently celebrated 59th wedding anniversary. Bill was a convert to the Church of Jesus Christ of Latter-day Saints and had a strong testimony of Jesus Christ. Throughout his life, he often shared his testimony and his love of the gospel with his family and friends. His favorite church calling was being a Greeter. He was genuinely interested in others, exhibited warmth and spontaneity, and never hesitated to give assistance when needed. After 33 years in the Forest Service Bill retired and he and Sandra moved to Arizona where they have been since 2002. He had a great love for his family and a passion for genealogy and painting. During the last 15 years of his life, Bill honed his artistic talents with painting lessons and became a prolific artist. His artwork hangs in the many homes of his family and friends and will be a reminder of this great man for years to come. Bill is survived by his wife, Sandra Louis Littledyke, their nine children (and spouses), Holly (Mark) Curtis, Becky Best, Max (Melissa) Brooks, Dan (Teresa) Brooks, Andy (Angela) Brooks, Shad (Jason) Brooks, Mary (Jason) Michael, Joy Brooks, and Chelsea Johnson. He has 20 grandchildren and 10 great-grandchildren. His brother, Max Brooks, and his two sisters, Mary Woehrle, and Kate Hartlieb, also survive Bill. His parents, William Maxwell Brooks and Ruth Elizabeth Sowell, and his granddaughter, Amy Curtis, preceded Bill in death. Services for Bill will be held on Friday, August 31 at the Church of Jesus Christ of Latter-day Saints, Power Ranch 3rd Ward, 4170 South Ranch House Parkway, Gilbert, Arizona. There will be a viewing from 11:00 AM to 11:45 AM. Funeral Services will start at 12 Noon. Interment at San Tan Memorial Gardens will immediately follow the service. Bill was our neighbor and our friend. He was my scoutmaster. I still remember all he taught me about the forest and the environment. I don’t know if he knew how important he was to his scouts. He will be sorely missed! Our thoughts and prayers are with you all. Dan what a great tribute. My only regret is that I never got to meet this man you called Dad. My your family feel the comfort and love of Jesus Christ and be comforted to know that Bill is now testing out those pipes with the Angels. I met Bill through the Mesa Art League. He became an accomplished artist and a good friend. He was always helpful with League projects and willing to share his knowledge and expertise. I will miss him. So very sorry for your loss. Our thoughts and prayers are with each and every one of you. Growing up across the street from your family was so special. Your father will be missed. We are very sorry for loss. We are praying . God bless him!!!! I certainly remember Sandy and Bill…she has such a great sense of humor, and Bill was always such a great support to her! Our thoughts are with the family, and we will remember them in our prayers! It is such a loss to lose such a good man. You will be missed greatly. Thank you for your service to our country. However God needed your service now in his great kingdom. You are in a much better place now. I will always fulfill my promise to you in taking care of your wonderful daughter. You raised her right and I am so grateful to you for giving me the permission to make her my soulmate. Until we meet again in Gods great kingdom we will miss and love you dearly.